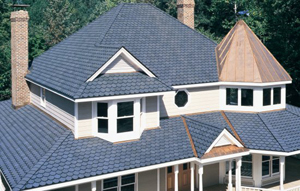 When choosing a roofing contractor, choose a professional. One you can depend on when yo u need them. One with many years of experience, reliability, and accountability. One that understands relationships by guaranteeing quality work, and one that will help you with your questions and selections. We are that roofing contractor. Located on the coast in Morehead City, NC, Advanced Roofing Company, LLC, has been serving the roofing needs of Carteret County and Eastern North Carolina since 1978. Our success is the testimony and the trust that our thousands of satisfied clients continue today. This trust and dependability is how we built our business. This trust and dependability is our commitment to you. Advanced Roofing Company, LLC, offers many different types of roofs: shingles, single ply EPDM, modified bitumen and thermoplastics, wood shakes, composite shingles, and metal roofs. We are certified installers of various roofing manufacturers including: GAF, Certainteed, Owens-Corning, Versico, Durolast, and Duradek. Our office hours are Monday through Thursday, 8:00 am through 4:00 pm and Friday, 8:00 am through 2:00 pm. Remember, when you call: Advanced Roofing Company, LLC. "We’ve Got You Covered”.